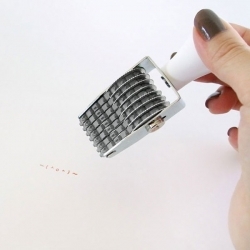 Your emoticons now in rubber stamp format. Byby Gingami for Gung, Over 2,000 variations available for the Emo in you. 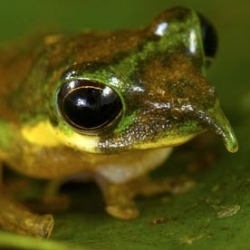 The Long-nosed tree frog is one of the new species discovered in Foja mountains rainforest on the Indonesian island of New Guinea. 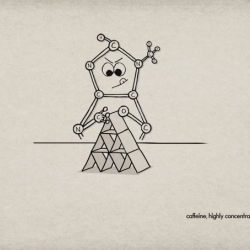 To promote the most caffeinated beverage on the deutch market, Fritz Kola and the agency Red Rabbit created a little caffeine molecule able to concentrate on fussy activities. 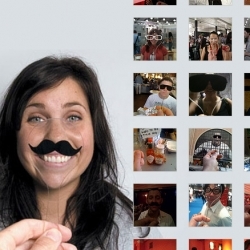 Fun and simple, it works! 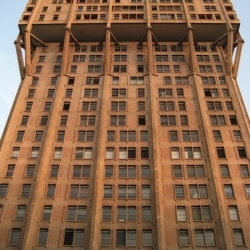 Itineraries of Milanese Architecture are architectural tours organized by the Order of Architects, Planners, Landscapers of the province of Milan and its Foundation to promote knowledge of modern architecture in Milan. 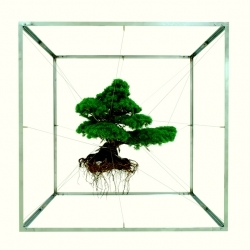 Makoto Azuma has staged Mother Nature, and his unique vision makes us think twice about the subtle connectivity of his work. James McAdams bar furniture changes its mood dramatically from day to night and works well in both conditions. This furniture can be reconfigured from a double seat to a standing bar surface. 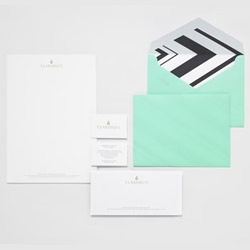 With more than a nod to Claridge’s famous past and it’s Art Deco interiors, London branding specialists Construct have gracefully updated the hotel’s logo and identity. 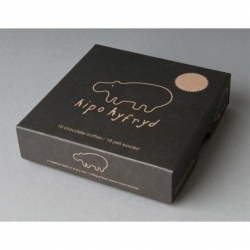 Hipohyfrid use playful yet minimal packaging solution. The Wales-based vegan chocolate company uses the matte box and moody, deep colours to stop the design appearing childish in nature. MOD is a ultra-black typeface designed by Fontfabric. 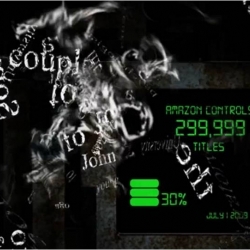 Designed to defy the limits of legibility it is also a journey into a universe of strange possibilities. 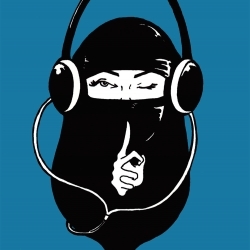 Available for free download. Enjoy! 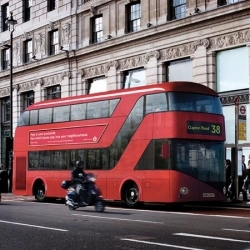 British designer Thomas Heatherwick has co-designed the replacement for London’s iconic Routemaster bus, mayor Boris Johnson and Transport for London announced this morning. Off the Leaf printed Solo cups from A|D Creative Group. 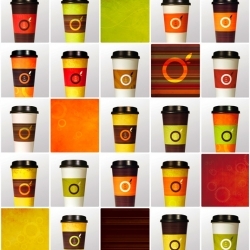 Customers becomes part of the packaging experience by getting to choose their own combination of cup and sleeve design. 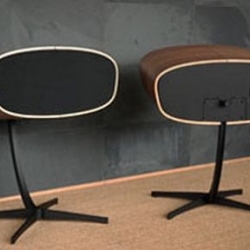 Davone continues the ‘Rithm’ legacy with the new ‘Ray’ speakers. The Ray was showcased at the Munich High End show 2010. 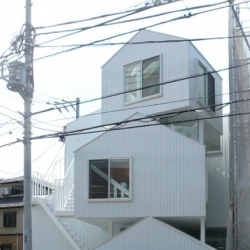 Tokyo Apartment by japanese architect Sou Fujimoto. An urban housing made of stacked small houses. Featured as work in progress previously as #26713. Netflix is coming on the Wii. 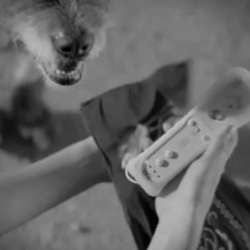 To promote their VOD service, the ad agency has inlaid wiimotes into old movies. 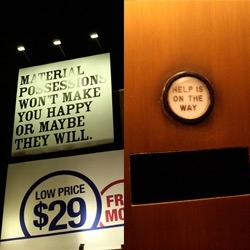 Nice and creative. 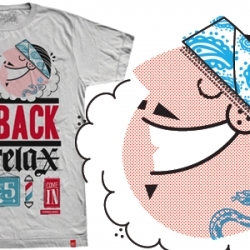 A commercial form the guys at Shop Around for WWF - lifeguard (where WWF works with kids to help preserve nature). 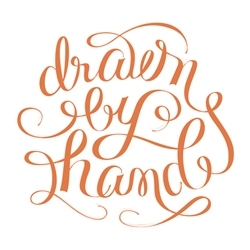 The hand drawn type works of the fabulous Camila Drozd, graphic designer. Collecting People - The ltalian-Albanian-Argentinean creative workshop Groshgrup and the Diogene’s bivaccourbano. This stylish house is located at Beekbergen village in the Dutch province of Gelderland. 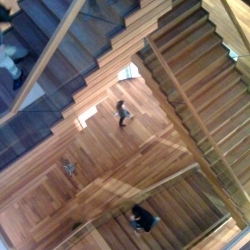 It was very futuristic modern house design by Factor Architecture. Designer Jungeeeun has created a range of jewellery mainly influenced by droppings from a candle. 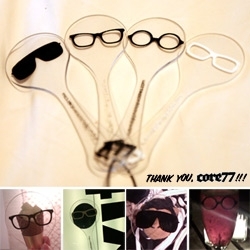 FEATUREDCore77 distributed Photopaddles from #30798 at NY Design Week and gave me a set tonight... see all the crazy faces i found! 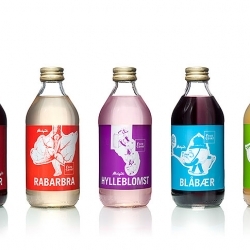 Food Story is a Norwegian food store that aims to inspire with their food, and they certainly does so with these new labels for their ecological soft drinks. 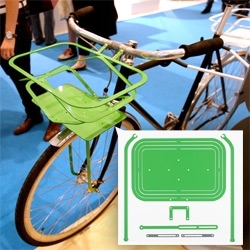 FEATUREDMIO “Design On The Go” Collection ~ “featuring products that move with their owners and become part of their every day lives.” Including flat packed bike basket, basket, tyvek jackets, custom hats and more! 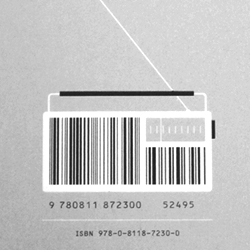 Eames Inspiration. 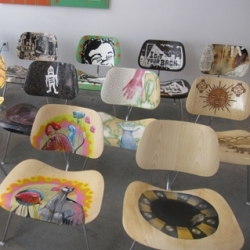 The chairs in molded wood, just like Ray and Charles Eames designed in 1946, are being reimagined by street artists and featured in Barney'ss windows and being sold to raise money for Operation Design. 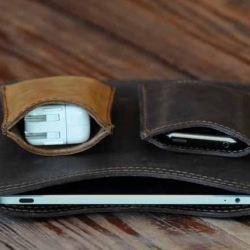 Photopaddles are super low-tech, pocket sized camera-phone accessories from designer Steven Haulenbeek. A limited number of these paddles were given out at the beginning of Design Week here in NYC. 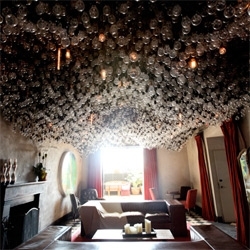 FEATUREDA peek at the insane lightbulb clusters covering the ceiling of a room at the Gramercy Park Hotel Roof Club! Michael Kutsche is an award-winning Conceptual Artist/ Illustrator and 3d Artist located in Los Angeles who has worked for the vfx industry since 1998. 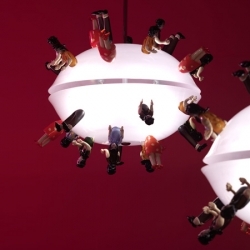 Broken dreams 2010: Wall lamps, glass and steel by Campana Brothers includes 3 new projects with Venini, a chandelier of tiny glass animals,chandeliers of figures based on Brazilian dolls, and glass sculptures with rattan. Gorgeous peripheral pouches in high grade, made-to-be-beaten-up leather from Saddleback Leather Co.
Print inspired by the movie "No One Knows About Persian Cats" (an illegal movie about indie underground bands in Iran). 'Wildroot' super cool collaborative effort between The Tree House Press and Formula Werks. 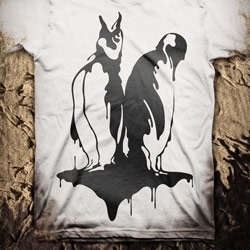 Very limited buying time, so make sure you get on it!! Images from Belgian-artist Roa's solo show at Factory Fresh, Brooklyn. 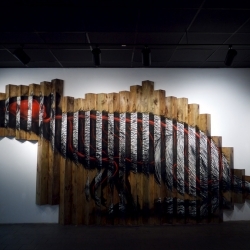 Huge spray-painted animals with skeletons & vascular systems exposed. 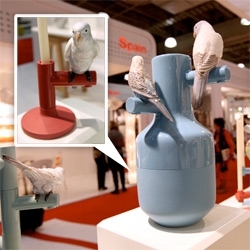 FEATUREDLladró Parrot Party Collection ~ STUNNING, pictures can't do it justice, you really must see it in person, but i've tried to capture some of the intriguing personalities of these porcelain bird details! 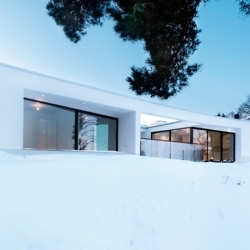 A lake house by Claesson Koivisto Rune is located near the Drevviken lake with its own little cove. 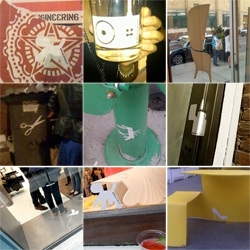 FEATURED#OBJECTHUNT is going strong ~ here's a peek at some pics of stickers in the wild as spotted by all kinds of people throughout NYC... spot one, tweet it, #objecthunt it... and you might even win an iPad! 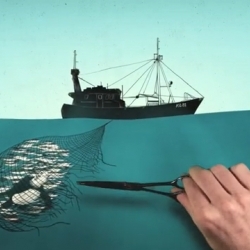 If you have ever wondered what all the fuss around Digital Rights Management (or DRM) was all about, all is explained in this very cool animation from a group of students at the Vancouver Film School. 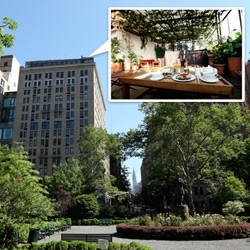 FEATUREDOn magical places ~ The Roof Club at the Gramercy Park Hotel is just that... see how pretty it is! 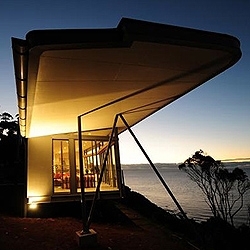 The Winged House (Dempster House), Table Cape, Tasmania designed by Richard Goodwin. 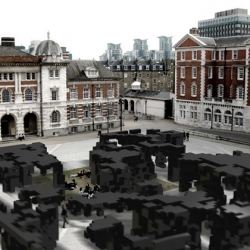 Award winning Polish architects Ola Wasilkowska and Michał Piasecki take over Chelsea College of Art courtyard, next to Tate Britain, for a participatory art event. 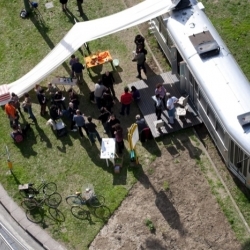 "Parade: The Market of Ideas" by Critical Practice. Sunday 23nd May, 2pm-6pm. 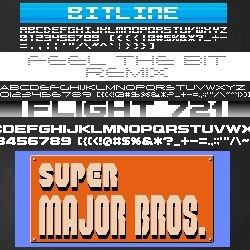 Miffies Font is an obscure little Japanese website featuring 50 fonts inspired by 8-bit videogames with very little in the way of explanation. 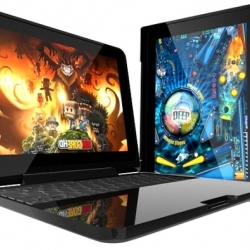 ClamCase - The all-in-one keyboard, case and stand for iPad. 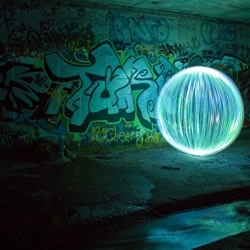 Australian photographer Denis Smith has pushed the boundaries of light graffiti, producing something mysterious, mythical and alluring. 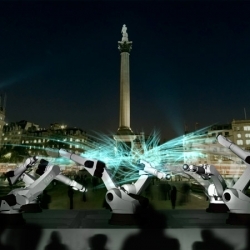 London Design Festival commissioned Clemens Weisshaar and Reed Kram to design this year’s Trafalgar Square installation. OUTRACE is a mechanical octopus assembled from six industrial robotic arms on loan from Audi. 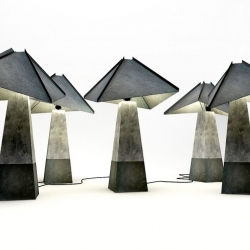 Concrete & Leather lamps by studio belenko! TBWA Amsterdam HQ. 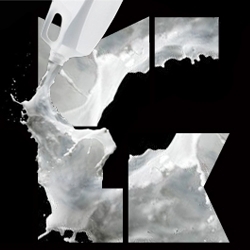 designed by creative agency ...,staat & snapshot by Esther.